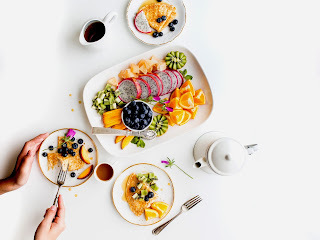 If you are a person who has not felt quite like themselves for some time now and are not sure what is going on with your body, have you ever considered that it may be your diet? The food you consume determines the health of your body. If you constantly eat junk food your body will likely be in a low state of health. It will be easier for you to get sick and fight of illnesses, you will feel sick, low on energy, and sometimes even irritable. These are normal side effects of a poor diet. It only makes sense as our body needs certain nutrients to be able to function properly. If you rob your body of these essential nutrients it will do what it has to in order to make sure it makes it so see another day. In many cases, the body will cause undesirable side effects to itself in order to try to give you a hint that you need to start eating better. Dieting can also be very beneficial for people facing certain mental strains in their current life. A proper diet can be very beneficial for the mental health of a person. Just like the rest of the human body, the brain needs certain essential nutrients in order to function properly. Not consuming a proper diet you will likely become easily stressed or overwhelmed as your brain will be deprived of the nutrients it needs to function.